Your pup will be having everyone walking the plank with this Walking Pirate Halloween Dog Costume! 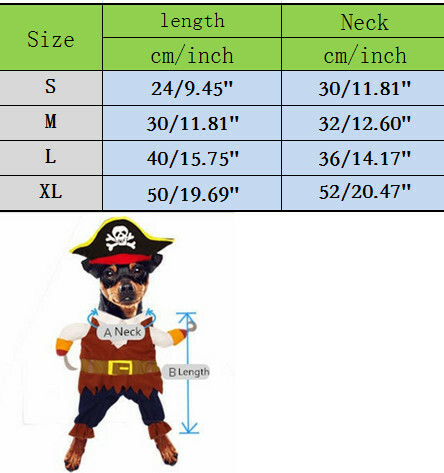 Your dog's front legs make the pirate "walk"
Your pup will be ready to set sail for the high seas in this Walking Pirate Halloween Dog Costume by Rubie's! You will love all the details including a ruffled pirate shirt, a soft belt, stuffed faux arms with a plush hook. The hat features a skull and crossbones and gold trim for an authentic look. Simply have your pup step into the legs for instant animated fun. Tie on the bodysuit around the shoulders and neck and add the hat and your dog is ready for an adventure!